If there is loss of bone from trauma or infection, it is best to immediately place bone-graft into the extraction site to preserve and augment the missing bone for future implant placement. This is known as preservation and augmentation bone grafting and is performed at the time of extraction. The graft is allowed to heal for four to six months before the site is ready for implant placement. If the tooth is in the smile zone, a well-crafted temporary prosthesis must be placed by the restorative dentist to help guide the gum tissue during healing. Bone-grafting is also indicated when the bone is normal, but a patient, for whatever reason, may have decided to postpone an implant beyond three months. Bone undergoes resorption and remodeling after an extraction, and it is best preserved by immediate bone-grafting. The upper front teeth are particularly susceptible to bone shrinkage following extraction, and grafting is the only way to preserve it. Any loss of bone that results in the absence of grafting, will be more difficult and more costly to treat later. Bone-graft materials most often used are either freeze dried bone, bovine bone, or synthetic bone in the form of calcified granules in pre-packed bottles. They are very safe, and patients shouldn’t be concerned about disease transmission or rejection. Once placed, the bone graft material is covered with a resorbable membrane that protects it and allows it to mature into actual bone over a four to six-months. A dental implant may then be placed safely into a mature and normal bone. Sometimes, a dental implant can be placed at the time of extraction. This is called an immediate implant. This technique is safe and predictable if done in specific extraction sites. These sites include single-root teeth that have a short and narrow root form, are infection-free, and have a normal amount of bone present. Some minor bone-grafting may also be necessary during this procedure. Occasionally, a temporary crown may also be placed on the same day. 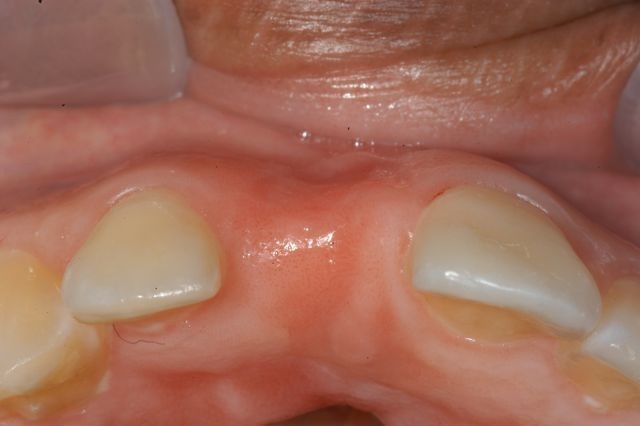 This “Teeth-In-A-Day” concept is successful if performed in appropriate sites and techniques. Placement of an immediate implant in inappropriate sites has a high risk of failure and should be avoided.